We have introduced many practical Kindle Fire cases. 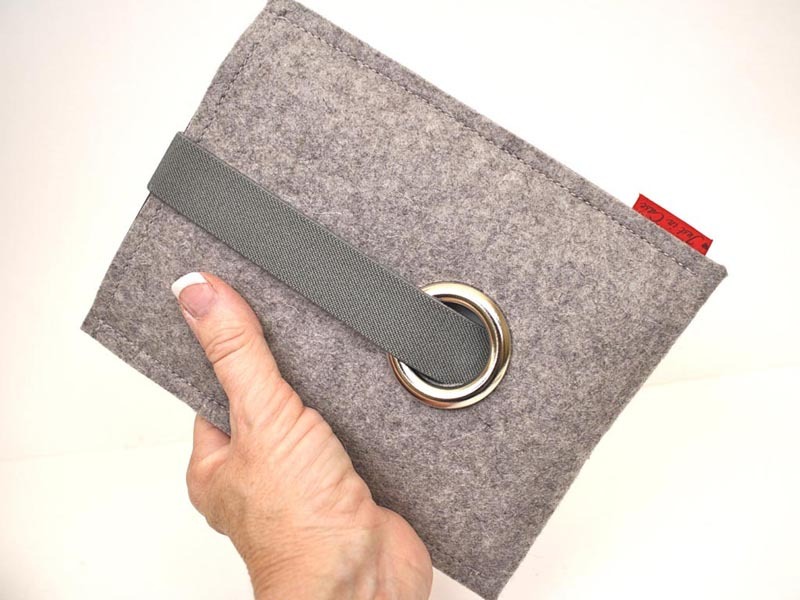 But if you want to take your Kindle Fire in a stylish way, maybe the handmade Kindle Fire sleeve is more suitable for you. 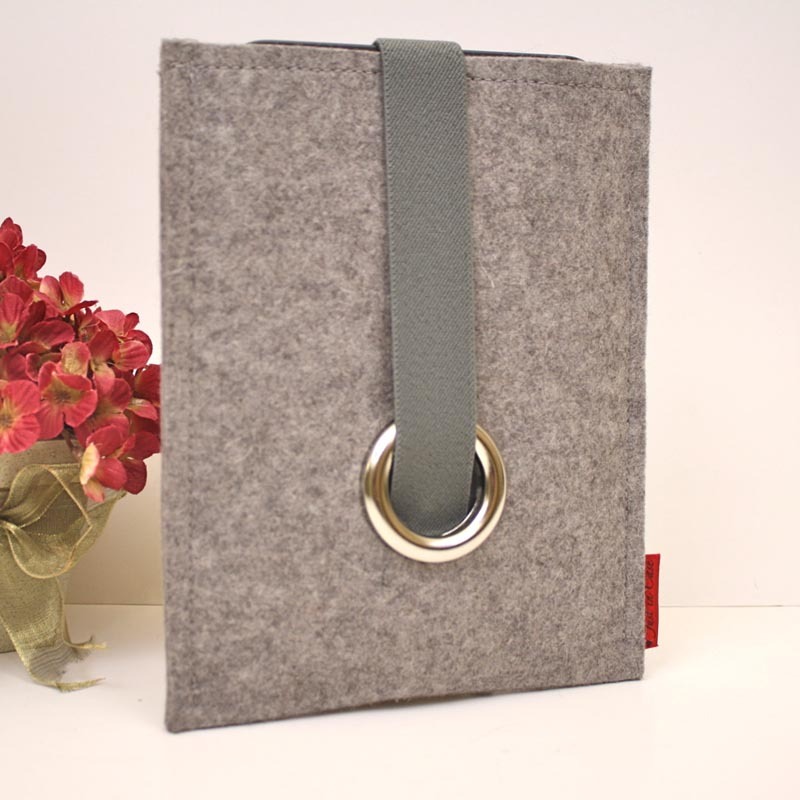 This is an elegant, sleeve-style protective case designed for Amazon Kindle Fire Android tablet, and handmade by Rosemary living in Los Altos. 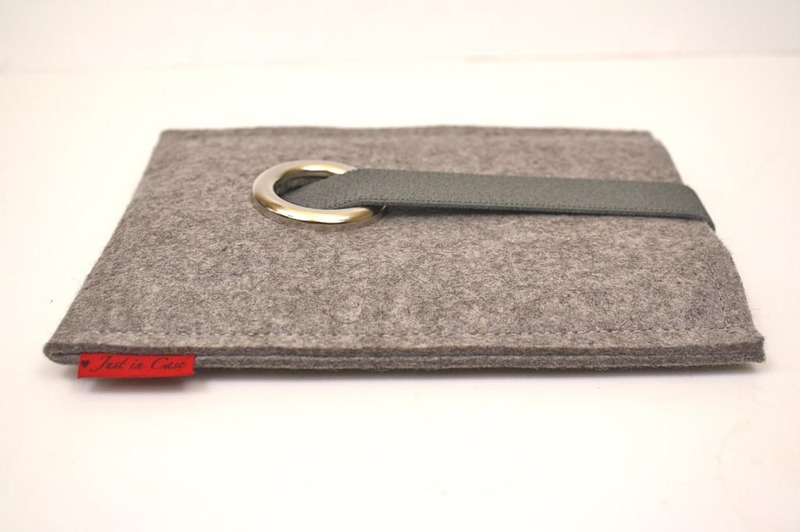 As we can see from the images, the handcrafted Kindle Fire sleeve features an elegant, fashionable design, and is constructed of 100% granite wool felt measuring 3mm thick in order to protect the Kindle Fire from shocks and scratches, while a sturdy elastic trim has been attached to the Kindle Fire case through a large silver toned eyelet for securely keeping your Kindle Fire in place. 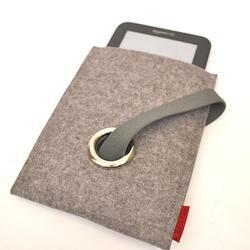 Apart from that, the protective sleeve is compatible with other tablets in the similar size with Kindle Fire. The handmade Kindle Fire protective sleeve is priced at $25 USD. If you’re interested, jump to Etsy for more details. 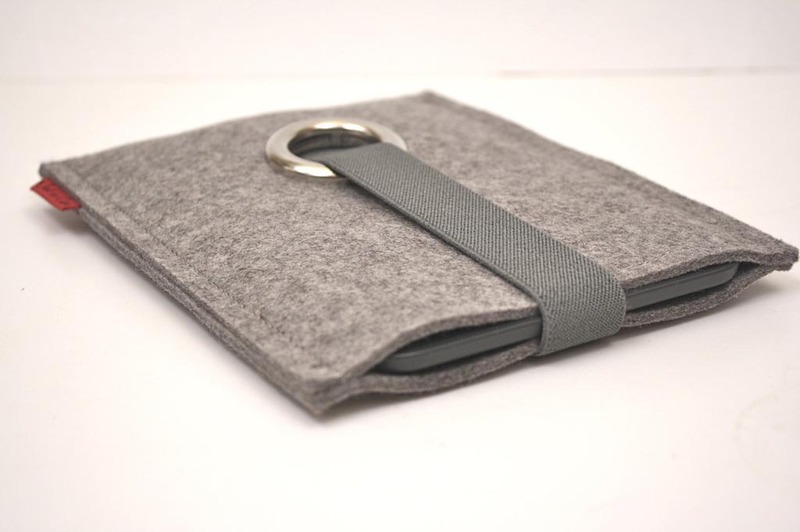 Additionally, if you need others options, you might like to check WanderFolio Kindle Fire case, Tilt Kindle Fire case and more via “Kindle Fire case” tag.